Menu item syncs Gmail contacts into your Apple Address Book. Is there a better alternative to Google Contact Sink? Is Google Contact Sink really the best app in Personal Info Managers category? 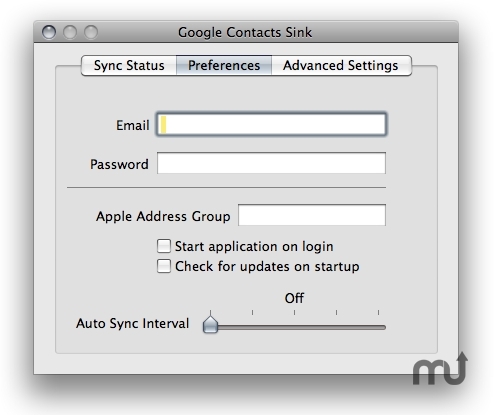 Will Google Contact Sink work good on macOS 10.13.4? Supports nearly all the contact fields that Gmail currently provides. Ability to set a timer on how often the application should poll Google for contact updates. Version 1.11: Fixed a small bug when importing Jabber IM addresses. Now both Jabber and GMail IM addresses will map to Jabber fields in Address book. Google Contact Sink needs a rating. Be the first to rate this app and get the discussion started!